Tickets for Spring Concert Now on Sale! Preparations are well underway for the Victoria College Spring Concert which is taking place this year on the 28th March. 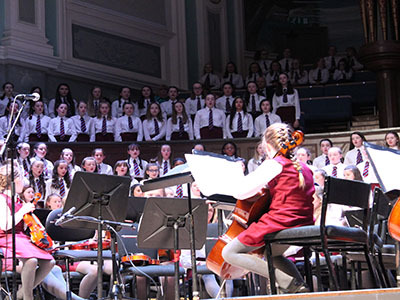 Following on from last year’s success the concert will once again be held in the setting of the prestigious Ulster Hall and feature the College orchestra and choirs. This year we are looking forward to ‘tripping the light fantastic’ with a selection of music from both Mary Poppins films. Those of you who prefer to ‘rock it out’ will also enjoy a selection of music by Queen. It is a wonderful opportunity for our pupils to showcase their talents in such a venue and we hope to continue this tradition moving forward. At this stage we ask you to support the College by encouraging friends, neighbours and family members to purchase tickets for what is certain to be an unforgettable evening. Tickets are priced at £12 (£8 concessions) and are available at the Ulster Hall box office or online. Posted on February 12, 2019 by Heather Dornan Wilson and filed under Announcement, Music and tagged Spring Concert VCB. 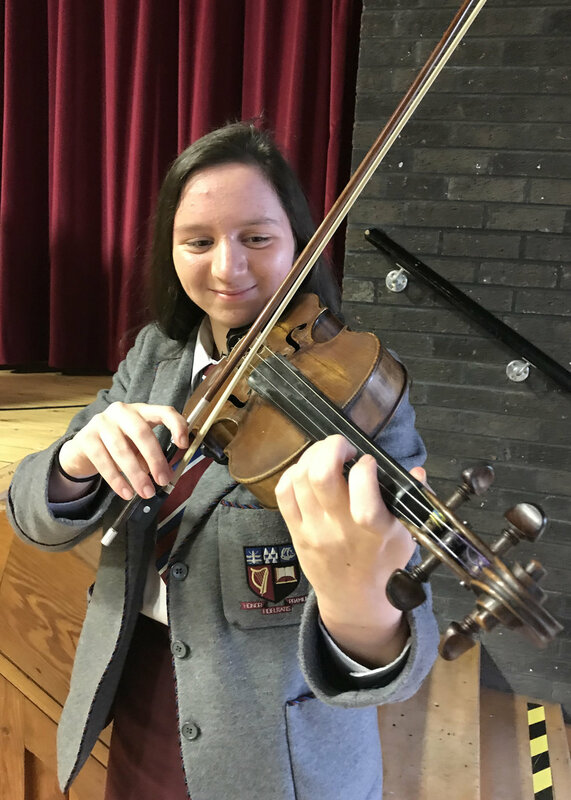 Congratulations to Amy Montgomery who successfully auditioned for the Ulster Youth Orchestra. This is wonderful achievement for Amy and we wish her success in all her upcoming events with the orchestra. Posted on January 31, 2019 by Heather Dornan Wilson and filed under Creativity, Music, Success and tagged Music Ulster Youth Orchestra VCB. The annual Carol Service took place on Friday 14th December in Fisherwick Presbyterian Church. Pupils and staff worked very hard in the run up to Christmas. The evening commenced with the College orchestra playing a rousing rendition of ‘Russian Dance’ from Tchaikovsky’s Nutcracker. All of the College choirs including the Prepatory Choir, Junior Choir, Junior Chamber Choir, Senior Choir, Senior Chamber Choir and Staff Choir performed to a very high standard. A particular word of thanks should go to Kirsten Matthews and Hannah-Rose Glover in Year 14 who both sang beautiful solo parts. Posted on December 18, 2018 by Heather Dornan Wilson and filed under Experience, Music and tagged VCB Christmas Carol Service.